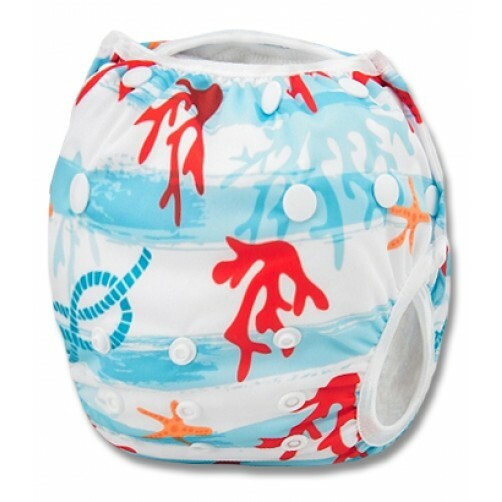 A light swim nappy with starfish and coral. OSFM: Fits from ±4½kgs to ±16kgs. Only fit the swimming costume when you reach the pool/sea - otherwise you may have a wet car seat! If there is a poo in the costume, simply rinse off the mess, and pop the costume into the washing machine (cold wash).